Anastasios P. Costarides, MD, PhD, was appointed as Interim Director of the Glaucoma Service on April 1, 2016. He serves as the Pamela Humphrey Firman Professor of Ophthalmology in the section of Glaucoma at Emory Eye Center. His clinical practice focuses on the medical and surgical management of patients with glaucoma. Research interests include oxidative stress in the eye. Clinical research interests include evaluating long term outcomes of glaucoma surgeries and glaucoma drug delivery systems. He has participated in multiple clinical research studies sponsored by both the National Eye Institute and industry. These investigations include the Advanced Glaucoma Intervention Study and the Ocular Hypertension Treatment Study. These pivotal studies advanced glaucoma care. His daily responsibilities include teaching medical students, residents and fellows. He has been the glaucoma fellowship director since 2001. 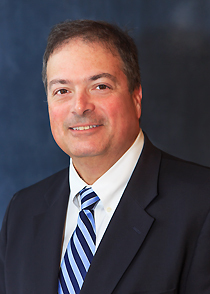 Dr. Costarides is actively involved in the American Academy of Ophthalmology, the American Glaucoma Society, and the Georgia Society of Ophthalmology. He is currently the Head of the Continuing Medical Education committee for the Georgia Society of Ophthalmology. He was president of this organization in 2010. Dr. Costarides is the team ophthalmologist for both the Atlanta Falcons and the Atlanta Hawks.